We’re live at a Nest press conference in San Francisco, where the company is debuting new products rapid fire. The latest debut: Nest Hello, a smart video doorbell. If you’re familiar with existing products like the Ring video doorbell, this one is of a similar vein — just with all of Nest’s usual polish. It’s got a microphone/speaker rig built-in so you can communicate with whoever’s at your door — but, in a clever move, they’ve also provided pre-recorded, tap-to-send quick responses for those times when shouting at your phone is inconvenient. Also super clever: Nap mode. Built with parents with sleeping babies in mind, you can disable your in-house chime while continuing to receive doorbell alerts on your phone. 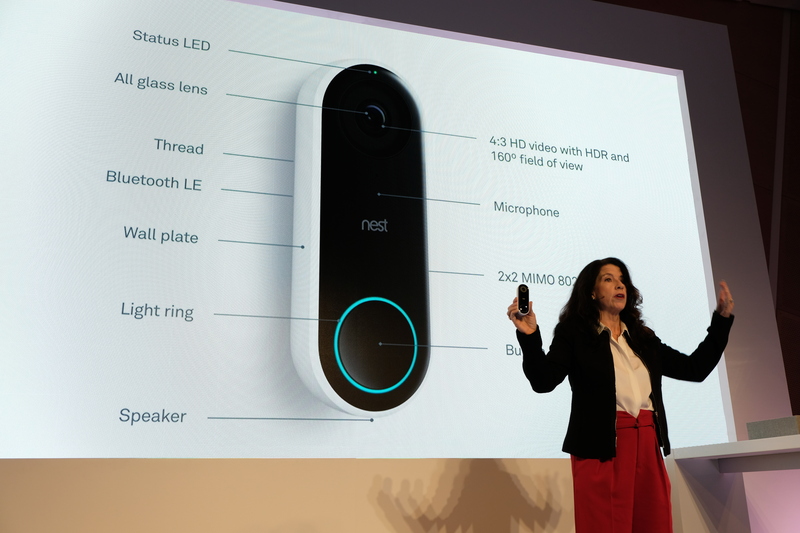 Meanwhile, the Hello will pick up the person/facial recognition system that Nest has spent the last few years building out in its Nest Cam IQ line. That means it can recognize whether that motion on your front porch is a human poking around or just some leaves blowing by. Nest says Hello will ship in Q1 of 2018; no price has been mentioned just yet.